The year has come and gone for Year 11 students who have now finished their end-of-year examinations and who have dived straight into their Year 12 Headstart. As a testament to the enormous amount of effort these students have put into their academic studies across the course of the year the entire year level spent the day participating in an end of year mystery celebration. 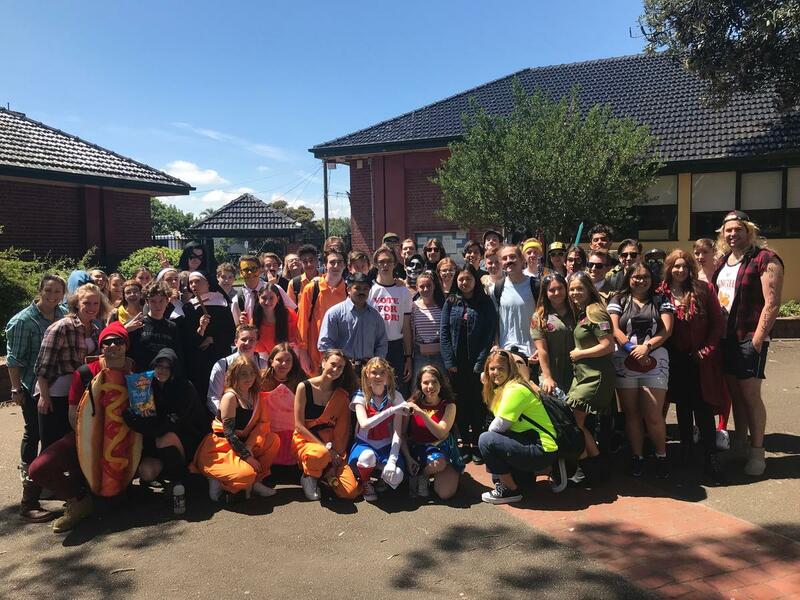 Students arrived at school in fancy dress clothing with a colourful mishmash of hot dogs, bogans, a beetle, Napoleon Dynamite and crew, princesses, superheroes, historical figures, sports players, pilots, nuns, jail birds and many more characters. With the destination and activity still a mystery to students the group travelled by train, with a couple of platform changes to keep the group guessing, and finally arrived at Sidetracked Entertainment Centre. The rest of the day was spent racing go-karts, winning arcade games, playing mini-golf, dominating at laserforce, eating food and bowling over some pins, which provided the perfect opportunity to blow off some steam and celebrate the end of year. Thanks to all the students and staff who attended the Mystery Tour excursion. A final congratulations to Year 11 students for completing what has proven to be a challenging year and I wish you all best of luck for your studies in Year 12.